How to Charge Google Pixel Phone Correctly - New Pixel phones made by Google come in two variant the Pixel and Pixel XL. Google Pixel battery 2,770 mAh and Pixel XL 3,450 mAh. You can use the charger that came with your phone and here the manual and tutorial you can read. Battery Pixel and Pixel XL approximate and represent a mixed use of talk, standby, web browsing, and other features, according to an average user profile as defined by Google and the battery life depend on use. The connecttor using USB Type-C, original Pixel charger is 18W that support fast charging. For all a new phone, good to fully charge the battery before it use, then you can turn it on and setup your Pixel. 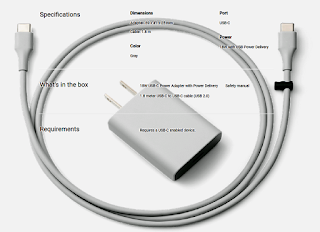 The right way to charge by follow the Pixel manual instruction. Keep your hand clean from dust and water. Plug the cable charge into the Pixel port that located on the bottom of phone. Plug the end of the cable into the AC adapter. Plug the power adapter into a electric power outlet. 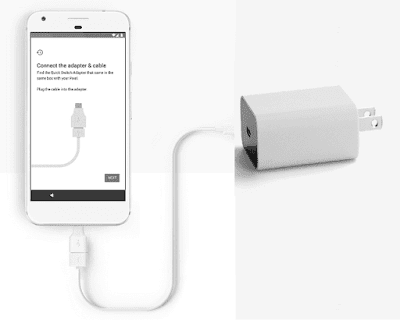 The Pixel phone adapter support fast charging built in 18 Watt adapter. If you use another power adapter, your phone could charge in a long time. The charger has a maximum output of 18 W (9 V / 2 A). To charge quickly, don't use your phone while charging, and remeber that the Pixel battery can’t be removed. So, do not open, except by official Pixel authorized repair services. You can see the battery level your phone. While charging, you can see the battery level will be fully charged. 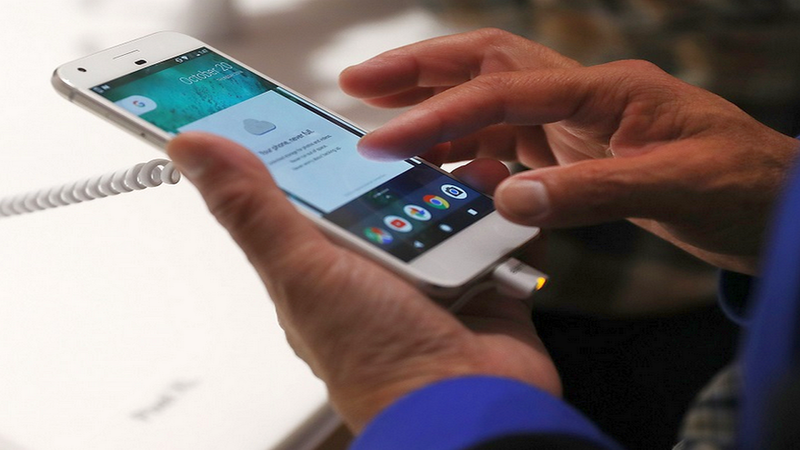 Swipe down with 2 fingers from the top of your Pixel screen to opens Quick Settings. At the Battery icon, see your current remaining battery percentage.